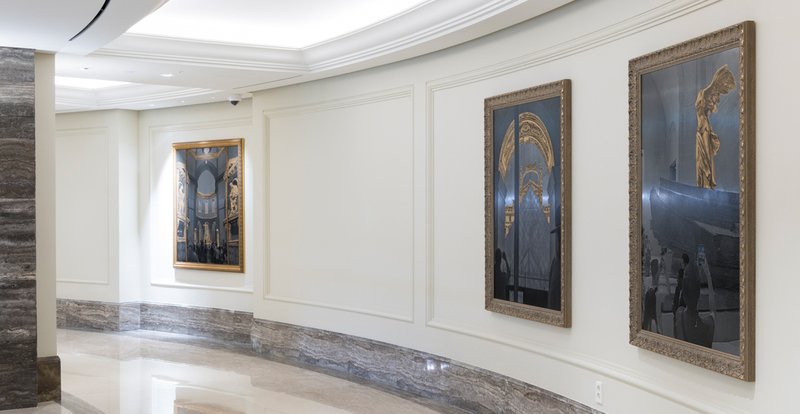 In this series of works, photographic images of a museum’s inside have been transferred to stainless steel plates, colors have been applied to certain portions, and gilt frames have been printed over them. Through this series Kim Hong-shik pays attention to those who view masterpieces via their mobile phones and cameras, even when such masterworks are right before their eyes. 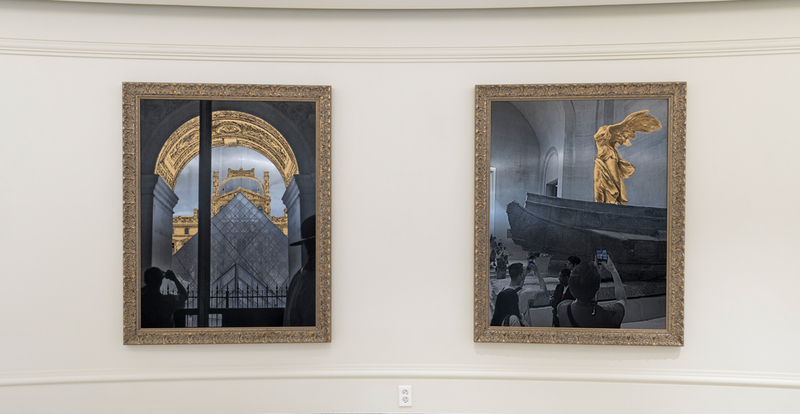 In these works viewers are able to have a unique experience in which they view art museums and visitors within the artworks themselves. Kim Hong-shik attended Ewha Womans University where she received her bachelor’s degree in Western painting in addition to her master’s degree and Ph. D. Kim has held solo shows at Wright State University in the US, the Seoul Arts Center Hangaram Art Museum, and the Kumho Museum of Art in addition to other museums and galleries. She has also taken part in numerable group exhibitions held at the MMCA and the Seoul Museum of Art. She won an excellence award at the Korea Contemporary Printmakers Association Competition and her works are currently housed in the MMCA and the Gyeonggi Museum of Modern Art.